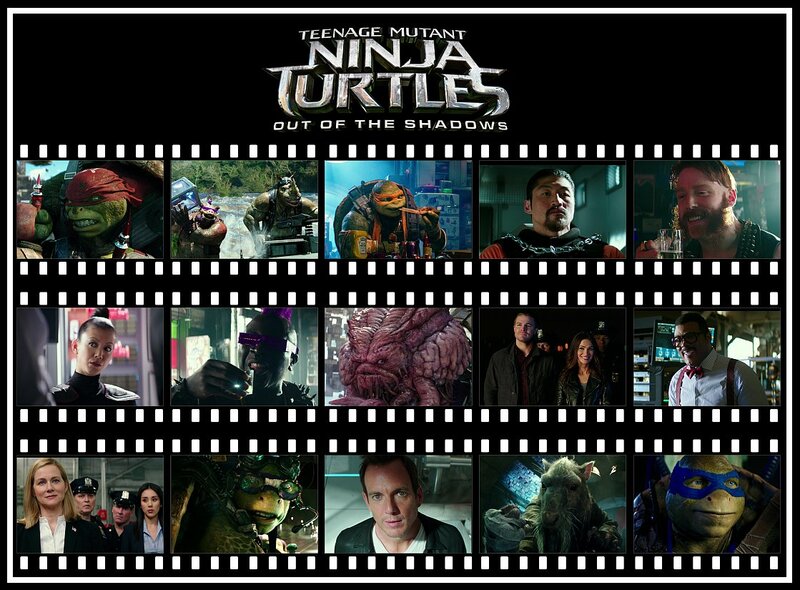 One year ago today TMNT: Out of the Shadows was released in the US. I personally loved the movie, and am sad that these characters may never be seen again in any way (a third movie, comics, toys etc.). I thought it would be nice to make a thread about the first anniversary, I know a lot of members here did not like the movie (or the 2014 movie) but I'm also sure I'm not the only one that does enjoy it. 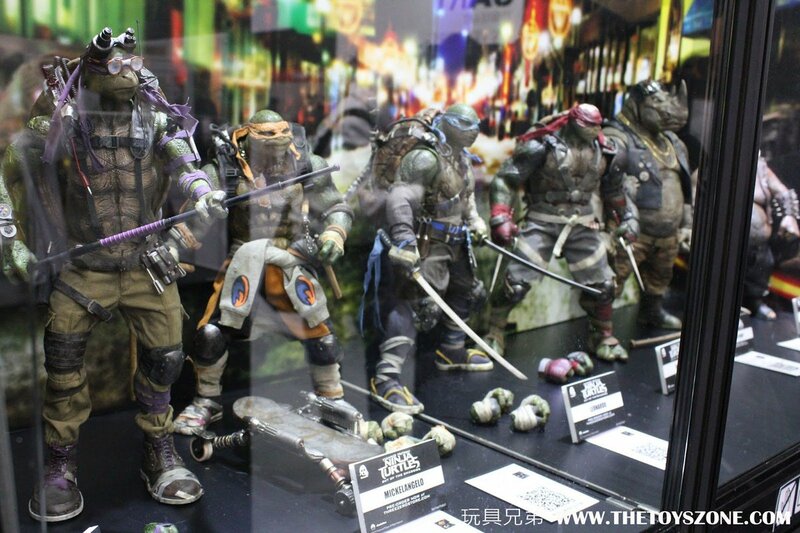 Threezero should release the four Turtles plus Bebop and Rocksteady 1/6 scale figures this year. 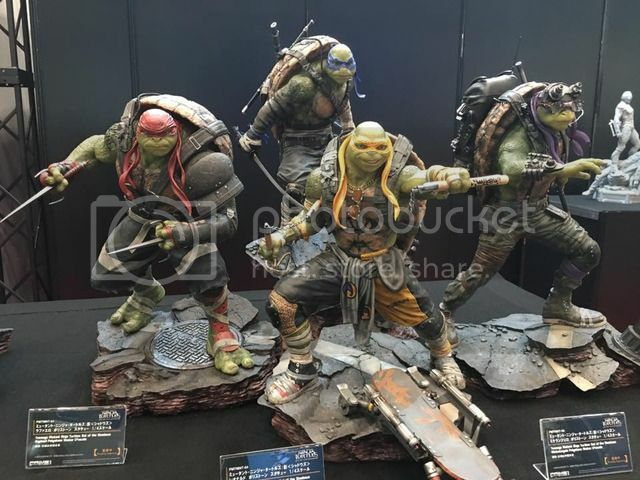 Prime 1 Studio has just recently released Bebop and Rocksteady statues with the four Turtles following later in the year. After that, who knows, but I wouldn't mind new stories or merchandise based on these Turtles. And virtually nobody talking about it for months, has the public consciousness forgotten about this awful movie yet? I'm still trying to forget these movies exist. They were horrible. 'Nuff said. Thankfully this storyline won't continue and hopefully they'll learn from their mistakes when they eventually reboot. I thought it was fine, it fixed a few things the first one did wrong though this one was clearly aimed at a younger audience. I can't say I disliked it, it's fine. I wish we could've had a third movie just to see what they did. Leave the cover as a blank so fans can do the perfect sketch/style they want and call it good. I appricate this movie for one reason, and one reason alone; it finally gave me my childhood dream of live-action Bebop, Rocksteady, and Krang. Now, they can reboot with a Mirage centered version, and I can watch it happily. And to those who hate this movie; stop wishing it didn't exist. It got the Fred Wolf characters out of the way, and it's failure hopefully paves the way for a more 'ninja/martial arts' version the next time around. It was the egg that had to be broken before you make the omelette. And to those who hate this movie; stop wishing it didn't exist. It got the Fred Wolf characters out of the way, and it's failure paves the way for a more 'ninja/martial arts' version the next time around. "What would Vin Diesel do?" Star in a better movie, that's what. The main reason I want a third movie is we will never have another live action universe with the TMNT that go full blown FW, so they might as well have finished the trilogy giving fans what they wanted featuring all our favorite mutants in live action. Would it have been a classic? No, but it would've given us the characters we always wished to see in a movie. The concept is just too silly for it to work on any movie that is actually good. Or having the turtles travel through space and meet triceratons, I mean this stuff would not fly for the general audiences and it should've been done here. But 2 full blown FW like movies didn't sell, so is it really what fans wanted?? It also wasn't even really just that it was Fred Wolf versions, cuz it isn't. It was badly written and made zero sense... even less than a Fw episode. I'm one the opposite side of this. I don't want a third one and I don't want to see them do anything like this ever again. Bebop, Rocksteady, Krang and most other such characters were created to market additional action figures, they should not be the center of a movie unless someone has a damn good spin on them. Simply shoving them into a movie because "Derp, that's what people remember from like 25-30 years ago! Who cares if they were basically absent for 20 years and/or most other versions?" isn't enough of a reason, especially if you don't make a coherent story around them. Well, what little money they might have made could have come from the "fans", but the general audience clearly didn't care. Long story short, most people don't really care about the FW cartoon, to them it's just a vague childhood memory or an old annoyance that made them buy an ugly ball of grey plastic for their kids. People are just interested in what they already care about or seems neat now, these movies were neither. Last edited by neatoman; 06-04-2017 at 01:49 PM. 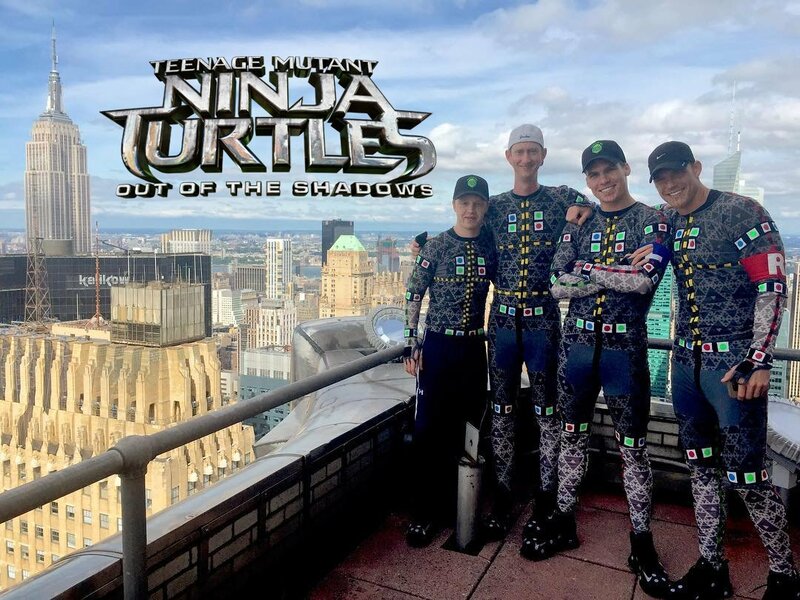 Although, with no third film, I would still pay money for a DVD/Blu-ray packed full of both 2014 and 2016 outtakes, goofiness and whatnot from the Turtles' actors with the Turtles rendered into it. Watching the Turtles genuinely messing up their own lines would be superior to any plot line those writers could ever come up with. And they're hardly the only un-pretty design if you consider all designs from all media ever, and at that rate not actually the worst to ever be. Case in point... 1993? Only cute in the samurai gear. At least 2016 Leo accomplishes it just with better lighting and a grin. If they even dared try a third someday... prob safest to just make one unconnected to these last two. Just claim they are older now, in their 20s or 30s, and come up with a new story. It might be safer territory for these people. Is it so wrong to just want a good film...that just happens to star the Turtles? Stop trying to rewrite the past if you can't handle it. Last hint of any possible date I saw about it not long ago suggested August. 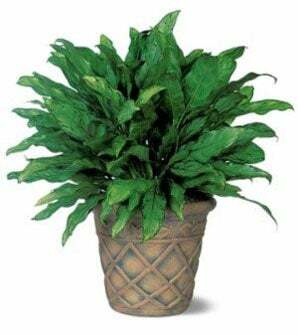 Last edited by IndigoErth; 06-04-2017 at 01:44 PM. Have ThreeZero released all figures yet? R&B would be a good addition to the DreamEX Turtles. Their shipping schedule still has B&R listed for June. Been keeping an eye on their FB page, but have not seen any mentions of them going out or being received by anyone. Last edited by IndigoErth; 06-04-2017 at 03:48 PM. They didn't do it right. they didn't get someone who appreciated the material and not said fred wolf like a curse. They didn't get an april or casey that looked right or fit the series. do we really need to go all over this again? I didn't hate/loathe/despise either of the movies, but they were also not what I (or obviously what the majority) of fans wanted story wise. It was long overdue for Rocksteady and Bebop to be in a live action film and I think they were portrayed pretty well all things considered. 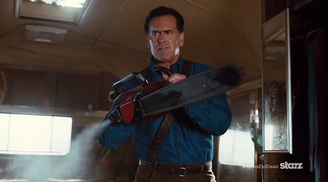 In the end they were what made the movie watchable in my opinion. Kraang on the other hand is what turned me off big time to the 2nd movie. Don't get me wrong. I would have loved to see Kraang as the potential villain for perhaps the 3rd movie, ending the 2nd off with a teaser of his appearance and cementing in that 3rd title, but the way they shoved him into this one and just broomed Shredder felt rushed and poorly planned in my opinion. I think Rocksteady and Bebop were enough for the fans and if they spent a little more time coming up with a better story line it would have worked out so much better. The other thing I didn't like was Casey Jones. I was fine with the casting choice but his background and general attitude was NOT Casey at all and I was really disappointed with how they handled that. All that being said I do still value the movie to some degree. I got over the turtles appearance and tried to embrace it for what it was... so... I don't hate the new films. They just weren't what I would have liked to see with a live action reboot and I think it had much more potential to be something far greater than what it was. Last edited by drag0nfeathers; 06-04-2017 at 04:36 PM. No, thats definitely true. Not done right at all.